Two body blows to the Syrian army this week dented incessant claims Syrian President Bashar al-Assad is winning the war. He isn’t. And the armed opposition is simply not losing. Between them, the town of Qusayr and the neighborhood of Khalidiya in Homs city – recaptured by the regime in the past two months -- don’t make up even 0.01 percent of Syria’s territory. Assad can’t be winning the war if it takes his army – enhanced by Vladimir Putin’s arms supplies, Barack Obama’s perfidy and the complicity of Iraq’s Nouri al-Maliki, Iran’s Ali Khamenei and Lebanon’s Hassan Nasrallah -- over two years to “retake” 0.01 percent of so-called “strategic” territory. Rebels battling Assad's army captured five depots of Konkurs, Kornet and Milan anti-tank guided missiles, arms and ammunition in the Qalamoun area on the doorstep of Damascus early on Saturday. Two days earlier, the rebels sent a wave of rockets slamming into regime strongholds in the Wadi Dahab area of Homs, triggering a succession of massive explosions in a weapons depot that killed at least 40 people and wounded some 120. 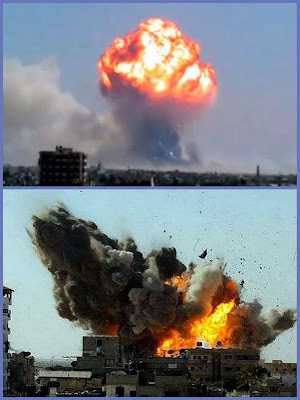 The rocket attack sent a massive ball of fire and a black mushroom cloud into the sky and caused widespread damage and panic among residents, many of who are Assad supporters. Egyptian military and strategy expert Maj. Gen. (Ret.) Safwat el-Zayyat last night gave an enlightening news analysis of the two body blows to the regime. The implications of the rebel attacks on the weapons depots in Qalamoun and Homs are very significant. The Qalamoun area, chiefly the village of Baqaa, where the rebels overran the depots, is teeming with regime forces. It’s the nerve center of the Syrian army’s famed 3rd Armored Division, which is renowned for its blind loyalty to the regime and is tasked with shielding the northern gateway to Damascus. § The site is in the vicinity of al-Nasiriyah military airbase. The rebels’ raid must have lasted several hours. Where were the reserve and mechanized units during that time? Is this a sign that regime forces are extremely exhausted, overstretched and unable to secure the area between Homs and Damascus? What if we also factored in the rebels’ rocket attack on the army’s weapons depot in Wadi Dahab, southeast of Homs city? Does all this show the armed opposition is now privy to military intelligence information from within the regime? The 3rd Armored Division is one of the strongest in the army. It is not a simple matter for the rebels to storm the five depots under its nose and walk away with the booty in their own time. 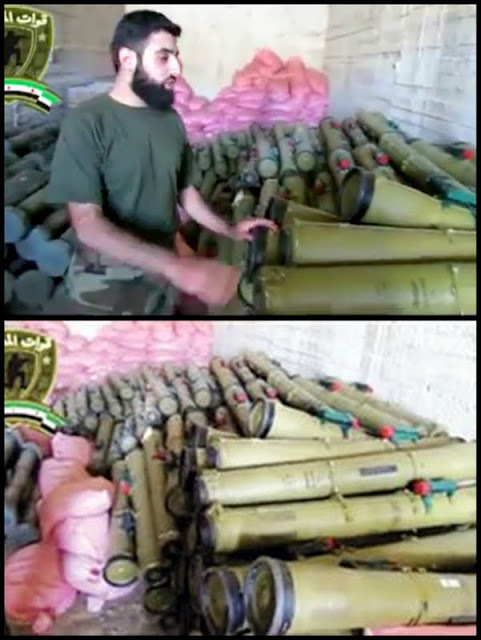 The Kornet anti-tank guided missiles seized by the rebels -- of the type used by Hezbollah against Israeli forces in summer 2006 -- are superior to the Konkurs type they have been using lately. The 3rd Armored Division’s evident vulnerability could now embolden the armed opposition to go one step further, which is to cut off and win control of the highway between Homs and Damascus. They could even target Qusayr for that matter. Who knows where they will be heading next! The army and allied militias are now busy fighting for the suburbs – in Qaboun, Jobar and Barza. The armed opposition, for its part, has put Eastern Ghouta on the back burner and turned westward to knock at the door of Abbasid Square in central Damascus. The regime is clearly lacking foot soldiers and unable to maneuver on the ground. It is mostly using heavy artillery, airpower and missile strikes. But fighting without moving ground forces to occupy, or control, or in one way or another liberate areas, towns, townships, villages or a neighborhood raises many question marks (about Assad winning the war).